Why pipes? No, Y pipes! We have recently spent hours at the milling machine making new stamp tooling for our Y pipes. Stamp tooling, you ask? 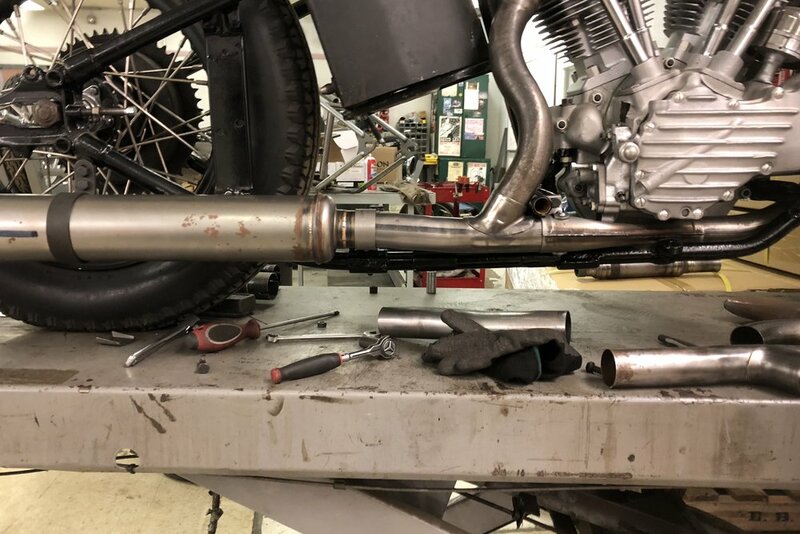 Yes, Harley originally formed these pipes in a stamping press, and so do we. 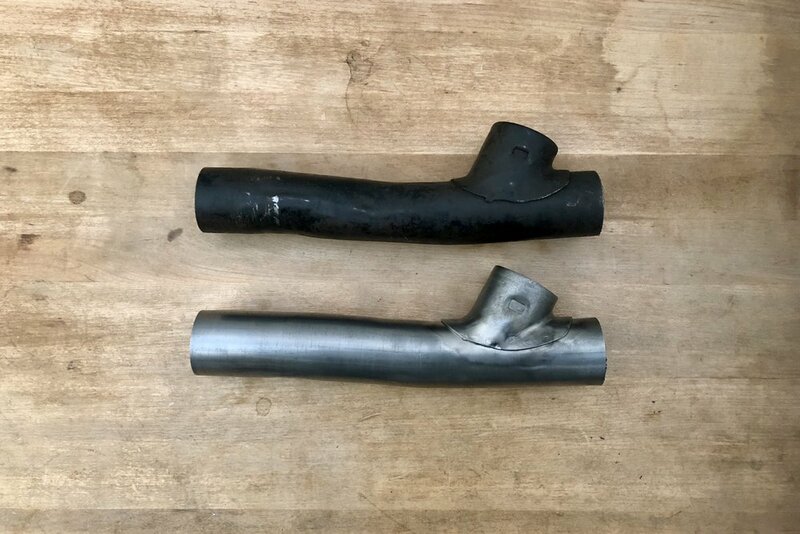 The “other” aftermarket version of this pipe is mandrel formed, which is a bending process that produces an attractive bend. Since these parts were stamped out in a die set, they were not “pretty”, they had creases and wrinkles. You can see these factory flaws in our Original OEM sample that is in picture along side our version. Not only did we manufacture them the way the factory did, but we also assemble them the same way. Ours are the only reproduction with a spot welded rear pipe saddle. All other re-pops are welded or brazed. Made right here in Cleveland Ohio.